Together with EDAG Engineering, Simufact has accepted the challenge of simulating distortions in a complex assembly in order to minimize production costs. In a joint project EDAG Engineering GmbH and Simufact have simulatively portrayed a complex special-purpose vehicle assembly on the behalf of a German commercial vehicle manufacturer - the coupling jaw cross member. In vehicle construction, welding is an established joining method for body and structural parts. Custom-designed assemblies featured in low-volume production in particular, for instance where special-purpose vehicles are concerned. These are produced in small batches, often in the single-figure range, which have a high degree of variance. The project partners EDAG Engineering and Simufact joined up to minimize the efforts of manufacturing a special purpose vehicle assembly - coupling jaw cross member. With the knowhow of simulation software, Simufact enables a proactive manufacturing of complex special purpose assemblies. Cost-intensive and technically demanding production processes can be implemented through simulation in significantly lower efforts and costs. Simufact Welding offers the optimal solution to the project question: How can welding simulation optimize distortion of a coupling jaw cross member for a heavy duty tractor? 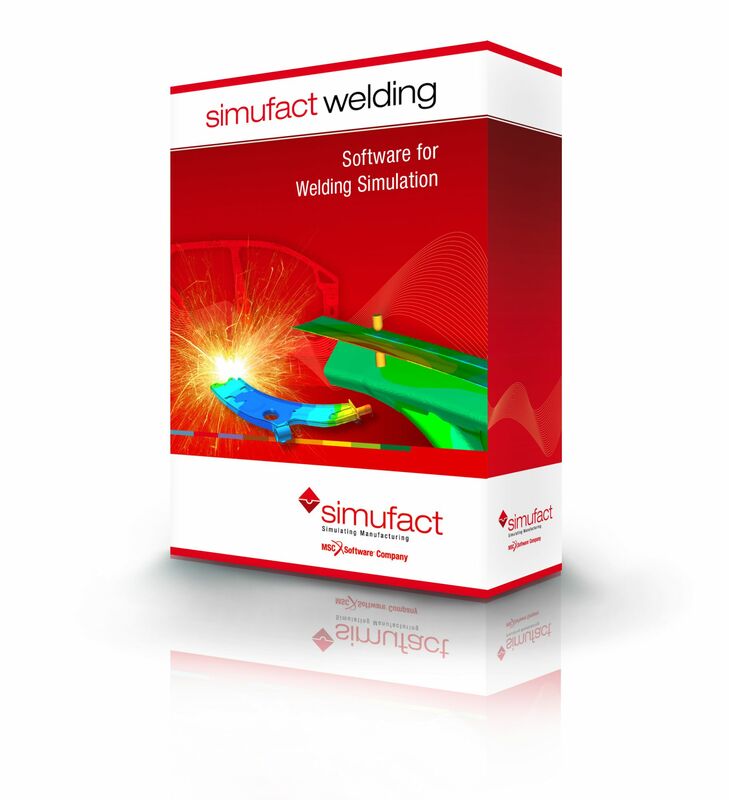 Our solution for the structural welding simulation exactly meets the project requirements: Simufact Welding describes the mechanical behavior of the workpiece for example distortions and stresses due to thermal impact during welding processes. The project results of this simulation demonstrate how numerical structural welding simulations can be used to predict critical deviations from the desired final dimension and to optimise results. *Due to copyright reasons, we unfortunately cannot provide a digital version. Although they have already been in use for decades, welding processes are still some of the most mathematically complex methods that can be described. The reason for this is the localised heat input, with its very short heating and cooling periods and the related effects on the mechanical and metallurgical properties in the fusion zone. Thanks to the availability of high-power computers, numerical computer programs make it possible for the thermo-mechanical properties of welded structures to be reproduced in numerical simulations.